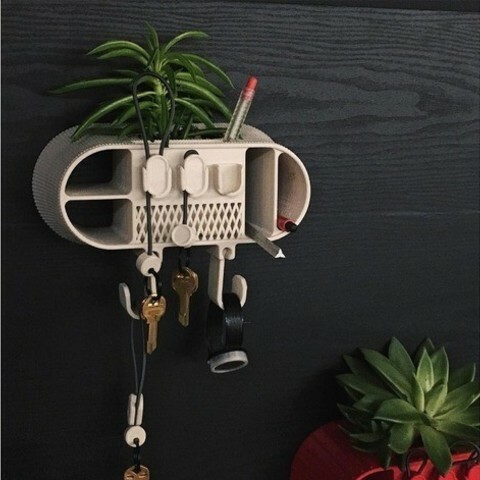 Keep everything you need for they day in one concise, clean, and aesthetically pleasing place! 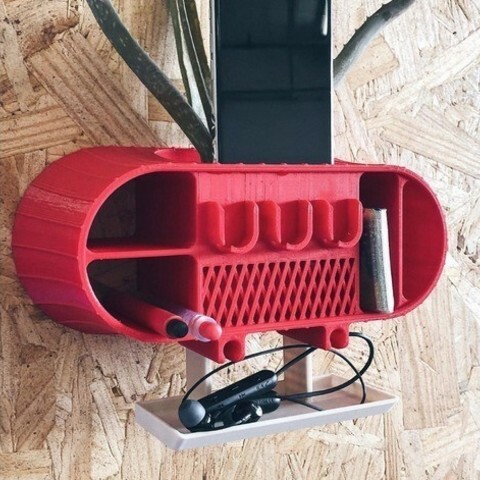 The wall organizer can be 3D printed and mounted to the wall using the printed cleat. 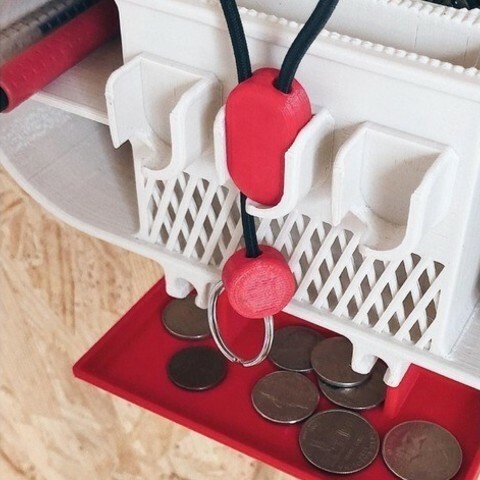 Additional tray and hook can be clipped into the organizer for additional storage.